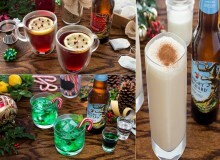 We have 5 Christmas cocktails that will make your holiday the best one yet! Internationally renowned catering and event production company based in South Florida, Le Basque, shared with us authentic Basque inspired winter/holiday dishes recipes served around the world. Lifestyle expert Alejandra Ramos shared with us a chic signature drink to toast on New Year’s Eve. Get this special sparkling cocktail recipe and take things a step further. 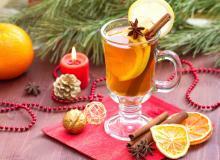 If you are a hard cider lover, now you can toast with these unique Holiday cocktails recipes. Three drinks to share with all your very important people! 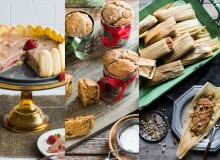 Turn yourself into the queen or king of all gastronomic delights and surprise your guests by adding a twist to your traditional tamales, champurrado and punch recipes. 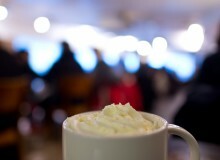 It’s cold outside and we want to help you warm up with something decadent and rich like a creamy white hot chocolate. You'll love this easy recipe! 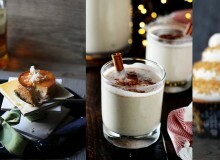 Remix the traditional Puerto Rican cocktail and create a creamy Cinnamon Classic Coquito, a full of flavor Coquito Cheesecake Flan and Coquito Cupcakes with these 3 easy recipes. 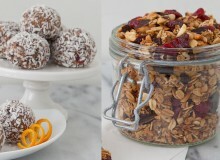 Increment your power with these three amazing granola recipes. Ideal for those days when you are craving something rich in flavor. 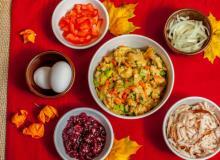 6 Recipes To Make The Most Out Of Thanksgiving Leftovers! 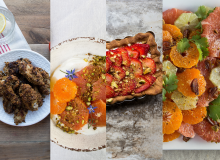 Here are a few tricks to make the most of your extra turkey, stuffing, cranberry sauce and more after your Thanksgiving feast. 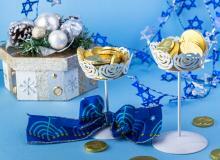 10 Spectacular Ideas To Make The Holiday Extra Delicious! 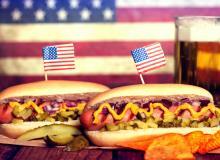 Add some flavor to America's birthday with grilled dishes, refreshing cocktails and scrumptious desserts! 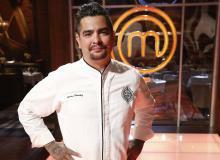 Celebrity Chef Aarón Sánchez will be attending the "MasterChef" kitchen to be a guest judge, but before that, check out the quick fire challenge he had to take on. This Shakira-Inspired Ice Cream Is All You Need For The Summer! An ice cream parlor shop in France has a unique Shakira-inspired flavor in stock! 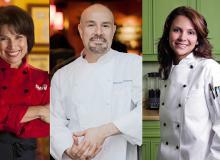 Chef Roberto Santibañez, Chef Marcela Pérez and Chef Sylvia bring us 3 healthier versions of some of our favorite Latin dishes.